1. Think location. Real estate is famously about location, location, location. If luxury resort property is going to be your special getaway, get specific about where you want to buy. For convenience sake, it makes sense to consider resorts that are closer to your primary home. But keep in mind, the resorts that are easily accessible to the masses are often overrun with tourists. That might not fit your wants. Destination resorts, which are typically a little harder to reach, are more private and personal. 2. Consider types of property. After choosing the location, consider the kind of real estate you want: a home, a condominium, a ranch, a fractional ownership, a club membership or vacant land to build your own dream home. All possess unique advantages and disadvantages. 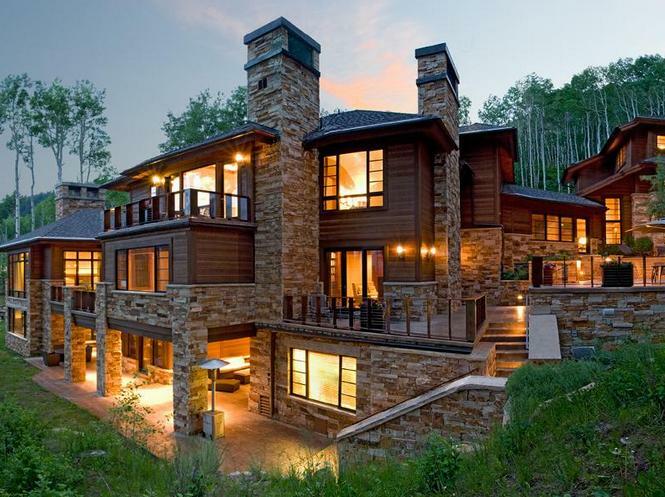 Ask George Harvey which type has been the best investment in the Telluride area. While resort real estate has been an exceptionally good investment for several years, potential return should not be your primary concern. Ultimately, you´re buying Telluride property because it and its attendant recreation and cultural offerings can bring you and your family pleasure. Decide what kind of experience you want, and consider it a bonus if you do well financially. 3. Explore The HarveyTeam.net website. The internet is a valuable tool, particularly when you´re beginning to research potential locations and types of property. It´s helpful to take a trip through our little corner of cyberspace even before you contact George Harvey or buy plane tickets. Meet the Harvey Team, then check out the exclusive listings and search the properties in the MLS. While the internet won´t allow you to experience the subtle nuances of the area, you can sample it virtually via the “Telluride in a Word” video series, and the comprehensive Maps page. They are excellent ways to get background information and to focus your search before you ever arrive. 4. Understand pricing dynamics. When a property piques your interest, find out how long it has been on the market and what the average discount, if any, from asking price to sales price has been for the last six to 12 months. Real estate prices are about supply and demand, so determine whether supply of the property has been increasing or decreasing. Also ask George if there are any new major developments that would add significant supply of product competing with yours that might be coming on the market in the near future. Finally, keep your emotions in check. If you find what appears to be the perfect property, remind yourself that there´s no such thing. Perfection only exists in the buyer´s mind, and for a short period of time. Initially, approach each potential property with an investment mindset. In other words, evaluate it as if you were going to have to sell it again after a certain period of time. This will help you choose a Telluride property that has broad appeal and potential to move in the marketplace if you ever decide to resell it. By the way, you might want to check out Pricing Your Property to give you insights from the buyer’s perspective. 5. Choose local financing. Good mortgage brokers understand the nuances of the local real estate market, so don’t fall into the trap of using a mortgage broker located in the city of your primary residence – unless, of course, your residence is in the Telluride area. In order to get business, the local brokers may promise clients they can finance in a resort area where they have no experience. When mortgage lenders and their underwriters determine the risk involved in lending you money they will not only analyze you but the market and individual specific property as well. Experience is important, so choose a seasoned mortgage broker with at least a five-year track record in your resort market area. Again, ask for references and check them out. 6. Consider tax benefits. Resort property can offer tax benefits, but it takes the advice of experts such as professional exchangers, CPAs and your trusted personal tax consultant to ensure that you enjoy the benefits. Get expert input on 1031 tax exchanges, primary residence capital gains exclusions and the conversion of one of these to the other and how it affects you and your tax plan. You can even buy resort property in your IRA or Keogh plan, but again these sophisticated deals require the solid, informed advice of experienced tax professionals. 7. Know property management options. To maximize your enjoyment and minimize your responsibilities if you are planning on being an absentee owner, you might want to hire a property management company to look after your new investment. If so, you´ll want to determine whether a long-term or short-term program is best. Short-term generally means nightly or weekly rentals, while long-term usually means six to 12 months out of the year. Ask George to recommend at least two to three management companies and interview each one. Learn what the fees are, get references, and don´t sign up for anything more than a one-year term. Why? You need to get to know the management company before entering into a long-term relationship. There you have it. Buying luxury resort property is not as difficult as you might have imagined, especially when you do your homework. And moreover, buying domestic or international resort property is fun and exciting. Plus, it can be financially rewarding. Today´s market offers unprecedented opportunities. George Harvey and his team can help you enjoy the hunt. Why not contact them today?